According to HGTV.com, nine out of ten people in America claim that they don’t have enough space in their home. That means there’s a great chance you’re one of those people. Odds are you have the space; you’re just not using it properly! That’s where we come in! We have a long history of taking space you may not even realize you have, and turn it into a part of your home you’re going to love. 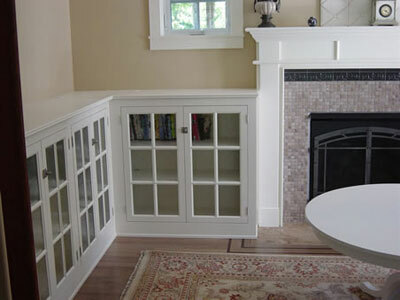 Built in book shelves are a fantastic way to add space and functionality to any room in your home. 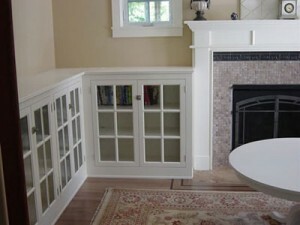 Book shelves can be added to just about any nook and cranny you can find! Many kitchen cabinets are fashioned to fit into corners, which can potentially be an issue when it comes to storage space. 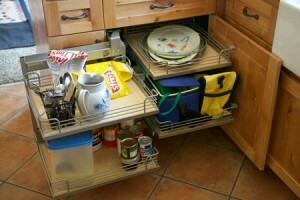 By adding a lazy susan or “dead cabinet” pullout drawers, that awkward corner is no longer a problem! A desk is a must have for many American households. 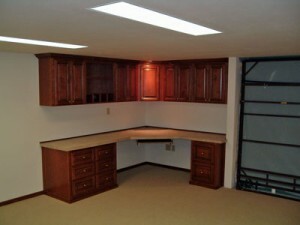 When you feel you don’t have adequate space for one, a built in desk with overhead cabinets is a great solution! The desk can be fitted to any space and with cabinets above the desk, it won’t take up an necessary counter space!